The main objective of this book is to help students to acquire the complete essence of C language. Moreover, this book will be useful for cracking the interviews successfully. 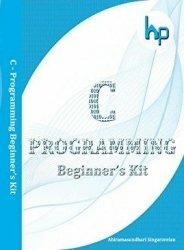 This book explains the concept of c language with an example program. Students and teachers of any stream can use this book to learn c programming. I would like to dedicate this book to almighty, my parents, and the readers. C is a middle level and procedural language developed by Dennis Ritchie in 1972 at Bell laboratory. Most of the operating systems such as Windows are developed in C. C programming helps beginners to learn advanced programming even more easier. Though there are more advanced languages such as Java, C#, C language is used by most of the software companies. To have an effective learning, the readers need to have the understanding of basic computer programming terminologies. For better understanding of programming concepts, students need to have prior theoretical knowledge.